Two maps made for the id Software CMP contest. The first ('A final roll of the dice') is a geo-comp style level, made especially to demonstrate that high quality brush work is still alive and kicking. I spent a long time deciding which of my levels should be hosted on this site. One of the toughest decisions was not to include my Q3 geo-comp 4 entry. This level for Q4 is the reason I eventually chose not to include it. 'A final roll of the dice' is based very much on the geo-comp map. It was NOT an import but a complete rebuild, and in many ways the quality of the work in the Q4 version is much higher. For that section of the Q4 community that style themselves as 'pro gamers', there is little love here. The map does not look good in vertex or ambient mode. For me that was a deliberate choice. I wanted to show how brush work should or could be done, and at the same time utilise the glorious lighting possible in Q4. 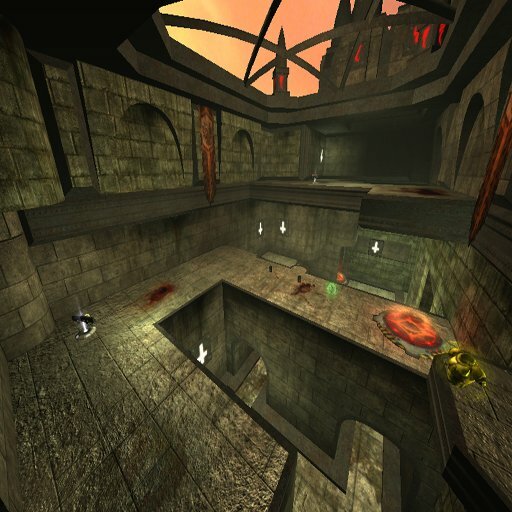 If players want maps to look as they do in Q4 vertex mode, play Quake 2. The second map ('Deep impact') is a little gothic level, built because Quake really really needs gothic :) Part of this level was imported from my old Q3 map 'Closure', which achieved enough notice to actually land me a job interview :) Unfortunately I did not have time to clean up all of the brush work to the standard I now like to work. Saying that, after looking at the appalling build quality in many (read: 'most') of the other CMP entries, I really shouldn't worry. A cool little trick I discovered during the process of making this level was how to create low poly patch models. It is discussed here, after the lighting section. This map will play well with pro gaming configs, but is optimised well and runs solidly in normal modes. 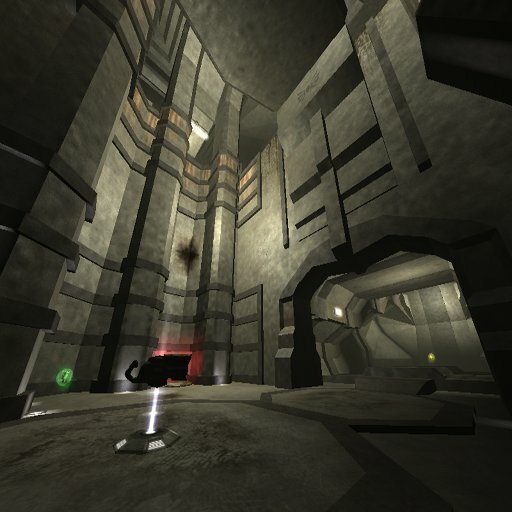 Both levels demonstrate that Quake 4 MP maps do NOT require retarded use of ambient lighting in order to be playable.